This is a post about copywriting. But before we discuss the power of copywriting, we need to identify the main problem that most businesses and professionals suffer from; poor content. If you offer a service or sell something online, chances are you’re losing business without even knowing it. It’s not as good as you think it is and doesn’t do what it should for you. Here’s the problem that most businesses make; they focus on just one aspect of their content strategy. That and they lack the skills needed to make their copywriting effective. If you were to review your content strategy, there are bound to be glaring holes that a professional copywriter could easily spot that may sit in your blind spots. Your strategy could be to increase website traffic (wrong), or get better brand recognition (wrong again). Perhaps it’s to “wow” your audience with superlatives and exciting lingo (boring). These are typical content strategies, and typical is the first step to failure. The truth is, there’s a lot more that your content should be doing for your business, and anyone with an online presence needs to consider a few things about how you’re representing yourself online. Making your content motivate your readership to take action is the primary function of copywriting. Let me say that in another way: the NUMBER ONE function of your content should be to motivate your readership to take action as the primary outcome from your copywriting. But that’s a point for later on in this post. Right now we need to identify the things that you should focus on regarding your content strategy. Why is there an online presence to begin with? What is the desired outcome of being online? Let’s look at the first point – why does your business have an online presence? There are two very different reasons to be online, and each has very distinct writing styles. Visibility: You use your website and social media as a way to stay visible with your clients and potential customers. For this type of presence, you may want to have engaging and informative posts and articles that attract the kind of audience you desire. This is a form of copywriting, but not critical at this point in time for your overall content strategy objective. For this type of content, you want to write in the first person, for example, “I,” “You,” and We.” The typical problem here is that most content associated with this type of online presence is that the content doesn’t lead to any desired action.Being visible is great, but if you spend hours, days and months on being visible -unless you’re a publishing site that generates ad revenue – you’re just spinning your wheels. And good copywriting can get you off the hamster wheel and onto the roadway. Think about this strategy as similar to an online billboard, and when was the last time a billboard motivated you to take direct action? For example, when I see a billboard for Coca-Cola, it doesn’t make me immediately pull my car over and rush to the nearest convenience store to buy a coke. It may make me want a Coke, but since there isn’t one available, I move on to the next distraction, such as the Pokemon I’m chasing. The copywriting secret to writing for visibility is to get in front of your audience with a desire or problem and then show how you, and only you, offer the solution to what they may want or need. Storefront: You see your online presence as a way to get your goods and services in front of an audience that may be looking for your particular offers. This writing style is a more general method of content, but one that should motivate the reader none-the-less. With a storefront, you may be writing content that is third-person, such as “He,” “She,” “It,” “They,” which are ideal for product descriptions and reviews but doesn’t do much to move the dial. 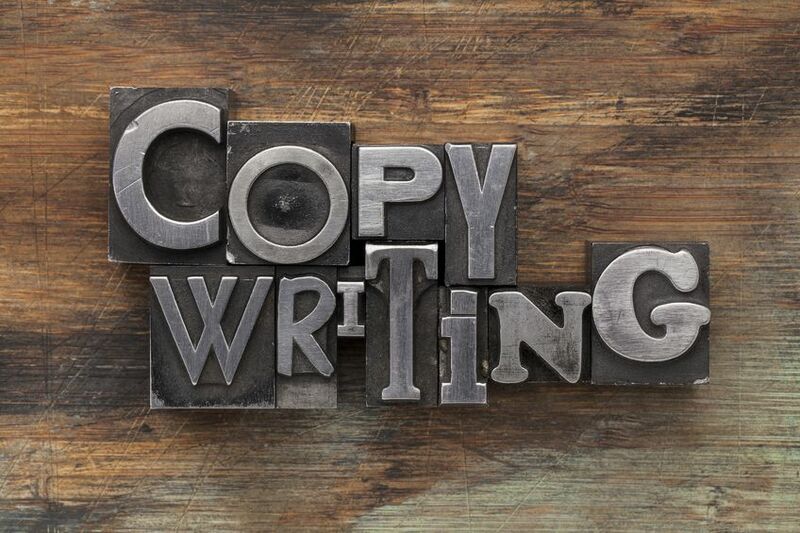 Here the copywriting secret differs from the objective of writing for visibility. To write for a storefront is describing the benefits of a product or service while providing social proof of the value of the product. What the customer reviews are saying about your services and products will, often, move your audience to make a purchase much, much more than an excellent product description. That’s one of the obvious secrets behind Amazon’s success. They have previous customers provide the copywriting by way of offering reviews of their products. The personal reviews offer the customer a quick-glance of the benefits and problems about that product they are searching for may have. Now that you understand why you’re presenting your services and business online, the next thing to consider is what do you want the outcome of that presence to be? But how do you guarantee yourself to generate leads with every post? Ahh, the potentially million-dollar question. You need to hire out your content to a professional copywriter. The power of great copywriting gives you a substantial boost to your content strategy. And a skilled copywriter is one that knows all the pressure points to apply, and they develop a system of content “loops” that will engage your audience. Most important is that a good copywriter will test what works, and want doesn’t, and will use that data to write content in such a way as to motivate your audience so that your readers are excited to take action. Think about your content like you do your health. One day you wake up feeling lousy. Not just lousy, but you have a hammer banging inside your skull, right between the eyes. Your nose feels like someone shoved cotton swabs up them and you can’t breathe. Your vision is blurry, and your chest is heavy. So you Google or WebMD sinusitis problems. You get some over-the-counter nasal spray and go about your day. So what’s wrong with all that? Unless you’re a professional, or seeing one, you may not be diagnosing the correct problem – did you know that those symptoms that you just self-diagnosed are shared symptoms for a stroke? You just went out to Target or Walmart to get nasal spray thinking everything’s going to be okay, but you may actually be moments away from having a stroke! So while you may be able to write content that is decent, it’s not what a professional copywriter can offer you. And like a self-diagnosis, you may not know the difference, but a pro does. Take your content to the next level by hiring a professional copywriter from CopyGenie. Contact us today to get a great quote and make your content convert. Small businesses to large have a number of tasks to undertake. Once you add in a comprehensive content marketing strategy, it can become overwhelming. In fact, all of us have too much on our plates already and what would be best is if we could find a shortcut or two that would save us time and money. From product review, promotion and sales to client promotion and retention, there’s an unlimited number of tasks to be done. If you don’t have a large marketing department, and even if you do, hiring a freelance copywriter can make a world of difference in the ROI of your content marketing strategy. So why should you consider hiring a freelance copywriter versus relying on the one in-house? For small businesses, you may not have the staff to oversee your social media platform on a regular basis. Or perhaps you don’t have the time to dedicate to updating your email lists or blog content. And in today’s interconnected world, if you don’t update your content, you may as well be invisible to a potential client. That’s where a freelance copywriter can do wonders. By hiring out a freelancer, you’re getting a dedicated professional. One who is dedicated to their craft as much as you are to your business. They understand current trends in marketing, understand the importance of doing some market research for your business and have the skills to write the type of content you need that drives your audience to reach for their credit cards – or sign an opt-in form – or whatever your needs are. For larger companies, outsourcing your content marketing needs to a freelancer makes a ton of sense. For starters, hiring a freelance copywriter can free up your in-house talent to focus on other projects and demands. This strategy frees up more than just the time of your in-house talent. The primary benefit is that by hiring out a freelance copywriter, you save money in the long run. By hiring a freelance copywriter to oversee your overflow, you’re only paying them for the project(s) they’re recruited to perform. Another thing to consider is that there exists an added incentive on the side of the freelancer because they only get paid for their completed work. They’re motivated to get you the best copy quickly. In other words, you’re not paying the copywriter for anything more than the tasks they’re hired to perform. Saving money with a freelance copywriter is easy. Contact us today for a free quote and see how we can take your content marketing to the next level.